Atlanta Public Library District – Many have wondered why the Board of Trustees of a Library District would allow such shenanigan’s to happen in Atlanta, Illinois over the course of the past several years. Illinois gubernatorial candidate Rep. Jeanne Ives' (R-Wheaton) campaign train does not stop as she heads to Jacksonville on Tuesday for a meet and greet. Rep. Ives' gubernatorial campaign heads to Springfield for a meet and greet. The recently passed state budget is little more than a fantasy to fix Illinois, Wirepoints founder Mark Glennon contends. Gov. 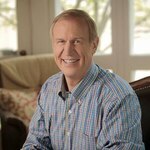 Bruce Rauner has dug a hole it's going to be tough to climb out of before the 2018 elections, Patrick Hughes, co-founder of the Illinois Opportunity Project, said on the radio show "Illinois Rising" recently. Gov. Bruce Rauner shook up his staff on Tuesday, less than a week after the Illinois General Assembly voted to override his vetoes on a budget and tax increase. The Statehouse was on security lockdown earlier today after a substance was allegedly thrown at Gov. Bruce Rauner’s office, as well as the Lt. governor's office and the House gallery. Rauner was not in the building at the time of the threat. The Capitol saw some fireworks of its own on the Fourth of July as the Senate and Gov. Bruce Rauner intensified their ideological feud over how to fund the state. The Illinois House passed a contentious and divisive tax revenue bill on Sunday after vigorous debate and with little Republican support. Sen. Bill Brady (R-Bloomington) was selected unanimously today by his Republican colleagues to serve as new Illinois Senate Republican Leader.